The City of Shafter is holding a free recycling drop off bulky & electronic waste. Event is being held at the Shafter Aquatic Center 269 Poso Ave from 9am- 12pm. 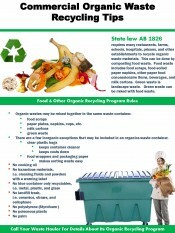 Use this oppurtunity to get rid all your unwanted bulky waste. 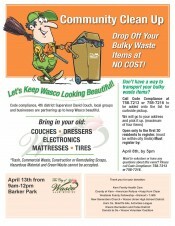 The City of Wasco is having a community clean up event Saturday April 13th at Barker Park from 9am -12pm. 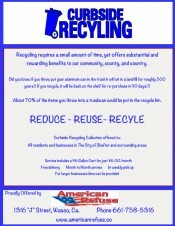 Drop off your bulky waste items at NO COST! Kern County Public Health has come up with a letter with guidelines for school sites on what items can be placed on their share tables. 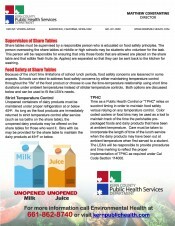 The letter goes over What is a share table?, What foods are allowed on a share table?, Supervision of share tables, and Food Safety at share tables. 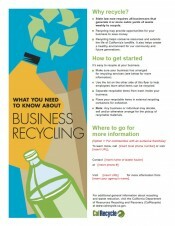 Keep California Beautiful welcomes you to the K- 12 Recycle Challange. 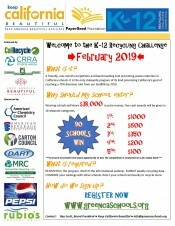 Winning schools will share $38,000 in prize money. 90 schools win! 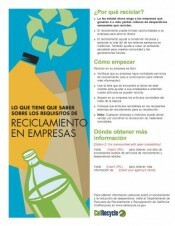 Register now at www.greencaschools.org. Burning trash is illegal. Air quality has improved in the San Joaquin Valley, but we still have some of the dirtiest air in the nation. To help protect the health of Valley families, the Valley Air District has created tough rules to improve air quality. 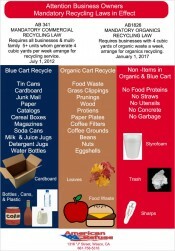 One of these rules makes burning garbage and burn barrel illegal. 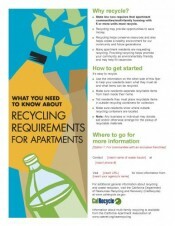 The sample commercial recycling flyer template can help local agencies educate businesses about new state requirements to recycle, and about any local requirements that may apply. Curbside Recycling Collection offered to all residents and businesses in The City of Shafter and surrounding areas. 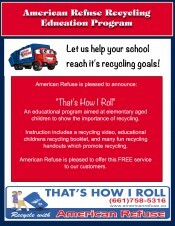 An educational program aimed at elementary aged children to show the importance of recycling.